On July 20th, the legendary Chinese NBA star Yao Ming announced his retirement from basketball, hundreds of millions of basketball lovers in China were saddened by the end of the Ming Dynasty. What does it mean to the future of Chinese basketball? How should China bring its basketball to the next level after the Ming Dynasty, especially in developing elite young players as well as elevating grassroots basketball? With such questions, I had a great pleasure chatting with China’s renowned basketball TV commentator and former national team coach and player, Weiping Zhang, who was visiting Los Angeles. Recently Coach Zhang told China Daily that he was sorry about Yao’s retirement and wished him all the best in his future endeavors. “He is a landmark figure in Chinese basketball history, with a huge impact both on and off the court.” “It’s a pity that he couldn’t continue, but it’s also a kind of relief for him. I hope everything goes well for him in the future,” Zhang said during a TV interview. 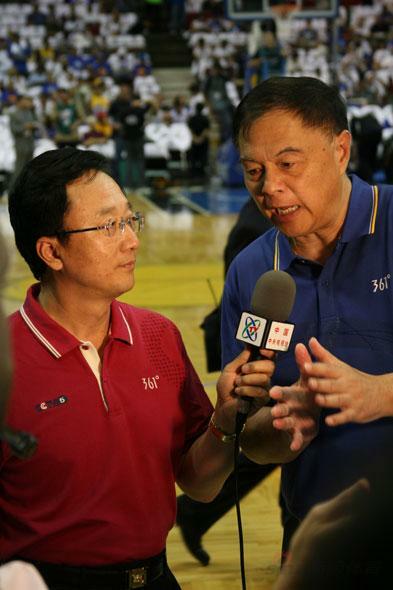 Mr. Weiping Zhang is China’s renowned basketball TV commentator with decades of experience reporting and broadcasting NBA, CBA and World Championship events. 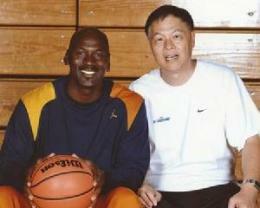 He is also one of China’s most prestigious youth basketball program directors. 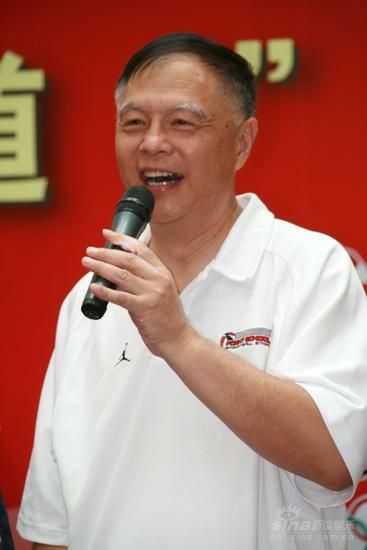 Previously he has been coach of the Chinese National Basketball Team (1985-1988), as well as head coach of Beijing Women’s Basketball Team (1984-1985) and Beijing Youth Basketball Team (1983-1984), leading the national team winning gold medal in FIBA Asian Championship (1987) and the Asian Games (1986). 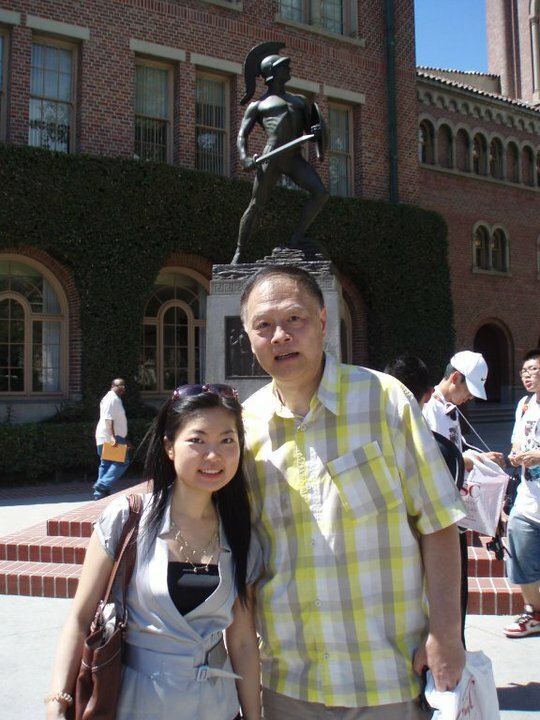 From late 1980’s to late 1990’s he studied the contemporary American basketball in the U.S. and organized various basketball exchange programs between the U.S. and China. Since he returned to China in late 1990’s, he has become basketball commentator of China Central Television (CCTV) and hosted various youth basketball training programs. Carrie Xu: Coach Zhang, recently it was a pity that Yao Ming announced his retirement. Do you think China will have the next Yao Ming in the coming 5 to 10 years? Weiping Zhang: Personally I don’t think China will have another Yao Ming in the next five or more years. This is because Yao Ming is a unique example with such height and skills plus his smartness and good humor. All the great qualities happened to form a perfect combination on Yao Ming. It will be extremely hard for China to have a similar figure again. First of all, it will be very rare to see a person grow so high. And even if someone happens to grow as high as Yao in future, it will be still very hard for him to have such excellent skills as Yao’s. So what do you think Yao’s retirement mean to China’s basketball? I think it is both a challenge and an opportunity. On the one hand, Yao’s retirement will inevitably affect the capability of the Chinese National Basketball Team in the short term. But we should still take a positive attitude. Like every coin has two sides, we should see the opportunity along with the challenge and take advantage of the opportunity. In my opinion, while Yao’s retirement will be a big loss to China’s basketball, it could also be a good opportunity for China to re-build its basketball tradition such as fast, flexibility and accuracy. When Yao Ming was on the national team, the team was consciously or unconsciously relying on Yao and lost many of the Chinese basketball traditions because they needed to adapt to Yao’s unique height and style. In this past U19 World Championship, it was a pity that China only ranked 13th. To develop the new Chinese young basketball players, what are some of the key initiatives you think China should take? Most importantly is to build the talent pool. Due to certain reasons, China reduced the investment in basketball talent pool quite a few years ago, which caused the current shortage of elite young basketball players. Although the Chinese Basketball Association has realized the problem and restored the investment in recent years, it probably will take a few years’ time for the national team to have a complete recovery. Do you think it is important for young Chinese players to learn overseas? Yes, it is beneficial for the young players to gain overseas experience, especially in opening their eyes. But at the same time, not everything fit in the US or Europe will fit in China. In fact there are many things in basketball that were invented by the Chinese such as jump shot. We are good at innovation. Realistically speaking, Chinese athletes may not compete with American and European athletes in heights and physical strength, and therefore we need to find our own way to play the game. I heard previously you spent around 9 years in the U.S., studying and working on basketball. What was your key learning from that experience? One of the key learning is that I realized the huge difference between the sports system of China and that of the US. In China, most of the athletes first turn pro at an early age, and then go back to school for education after their retirement, which is on the opposite of the US. Besides, in China the sports system and the education system are separated from each other. Such a separation has created certain difficulties (in driving sports development). On the one hand, almost all of the best coaches are administered by the state-run-sports system, while schools usually don’t have access to such coach resources. On the other hand, the sports system who wants to drive grassroots sports among the youth usually doesn’t have access to the majority of the students who are administered by the education system. It is still difficult to combine the resources between the two systems. But the two systems are trying to work with each other since recent years. In recent years, the Chinese University Basketball Association (CUBA) has been growing fast. By this year, it already has 112 teams in total. How do you think of the current level of the CUBA teams? Do you think CUBA will become the NCAA in China? I don’t think CUBA will become the NCAA in China. Although the number of CUBA teams is large now, their levels are still low compared with the professional teams, because the average level of the CUBA coaches and players is still relatively low. But the level of the teams is improving. This is because on the one hand the coach level has been improving in recent years as more and more CUBA teams have been attracting coaches who have professional team coaching experience with all kinds of benefits, and on the other hand more and more parents are willing to send their kids to CUBA teams because CUBA provides higher education opportunity for the kids. However, the overall level of CUBA has not been improved to a level that could compete with CBA’s professional teams yet. And most of the best Chinese young players are still in the CBA teams and the CBA youth teams. I heard you have been hosting youth basketball camps over the years, could you share your experience on it? 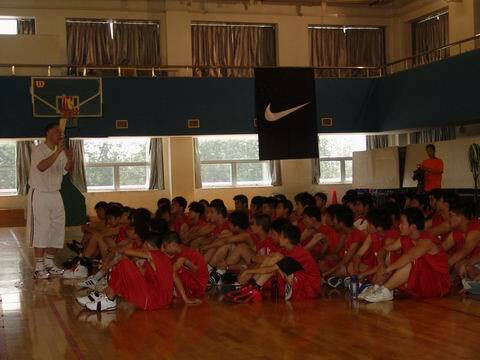 I host basketball camps twice a year in China, one in the winter vacation and another in the summer vacation. I also work with Michael Jordan Flight School every year. Previously, I have worked with Chinese Basketball Association (CBA) on various basketball camps. Unlike the CBA camps which target only on the elite young players, the camps I host target on a variety of young people that are passionate about basketball. Rather than simply coaching basketball skills, I would like to coach and teach at the same time – that is to use basketball as a unique channel to teach the kids something they can benefit from for a life time, for example team spirit, sharing, stress management and preparing. Since basketball is one of the few things the Chinese kids are very passionate about these days, it is effective to teach them these important values through basketball. In recent years there have been frequent international cooperation activities between the US and China basketball. How did you see that has helped China develop basketball? Yes, nowadays there are many such activities. First of all, the NBA super stars have come to visit China frequently. Their presence in China has motivated the Chinese kids a lot, because they are the idols that the kids admire and love. So these super stars have leveraged on their charisma and star power to help basketball become more and more popular among the Chinese young people. In addition, coaches from the US NBA teams, colleges and high school teams have come to be instructors for the coaches of the Chinese Basketball Association (CBA) in the annual compulsory training sessions, which has helped enhance the CBA coaches’ abilities. I learned that you have been promoting basketball culture in China. What kind of basketball culture do you hope China will have in the next 5-10 years? In recent years the more I have been doing basketball (camps), the more I believe to improve the skills is not the main goal, instead to help the young people learn something that will benefit for their whole life should be the No.1 goal. This is also something many great coaches in the U.S. have been doing, for example Coach John Wooden was always trying to teach life lessons through basketball. In my opinion, a player’s basketball career usually lasts ten plus years at most, while life is decades long. Therefore, in my basketball camp, I have been focusing on this (teaching life lessons). What do you hope you will achieve personally in the next 5-10 years? I will continuously exploring ways to use basketball to teach young people life lessons. It’s an remarkable article in favor of all the web people; they will get advantage from it I am sure.